My friend Sarah was turning the big 3-0; but unfortunately I had to miss her birthday party. 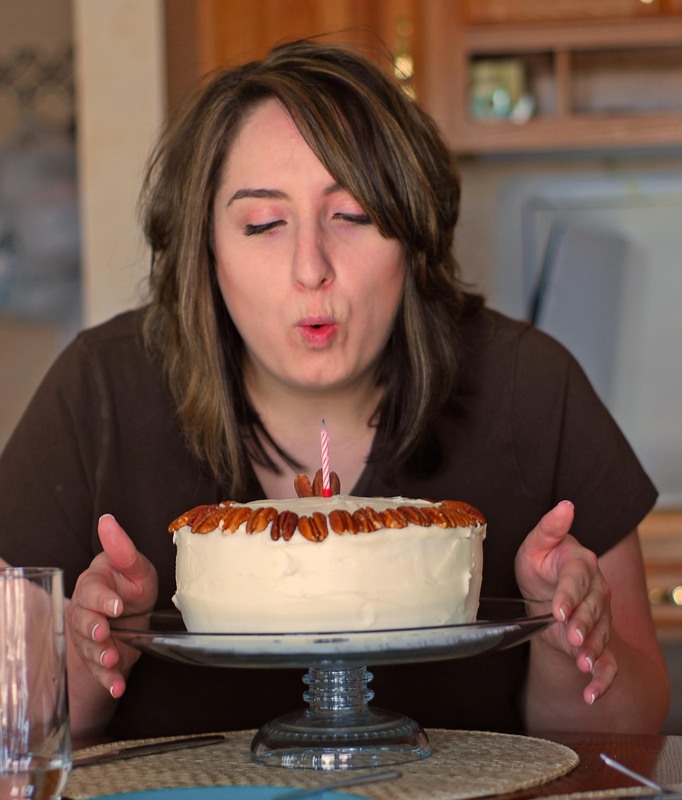 I invited her over for a birthday lunch the weekend after to celebrate and asked her what kind of cake she wanted for her birthday cake. 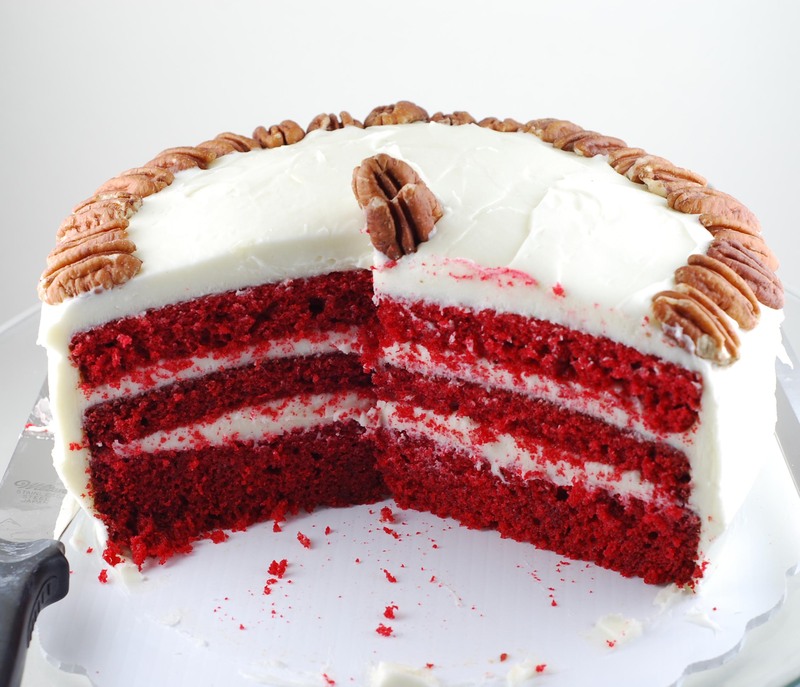 She requested a red velvet cake; which I have never made before–and I definitely didn’t have a recipe for; which is kind of odd considering this is my dad’s absolute favorite cake! I went looking for a recipe–and really wanted a special cake that would not dissapoint. After all, this was for my friend’s birthday milestone. I then learned that Bridget had blogged about comparison of the recipes from several sources! Score! I was excited by the opportunity to try making this from scratch using a recipe that has been tried and recommended. I decided to make the Saveur recipe, that was originally tested by Kelsey from Apple a Day. This cake, I have to say, turned out so perfect… as a special birthday cake should be! 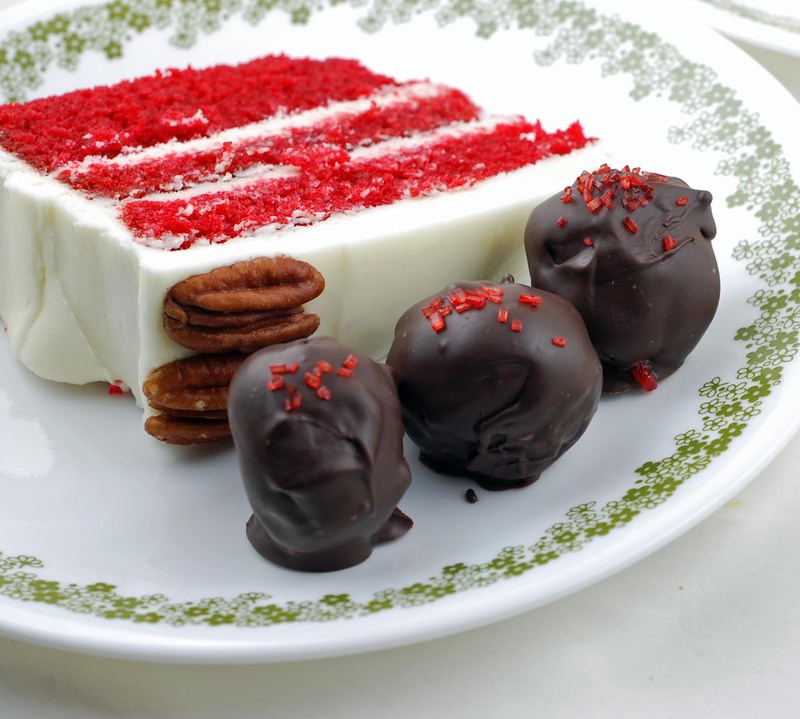 It stood tall, proud and cut beautifully… the kind that looks incredible on a dessert plate at a party. 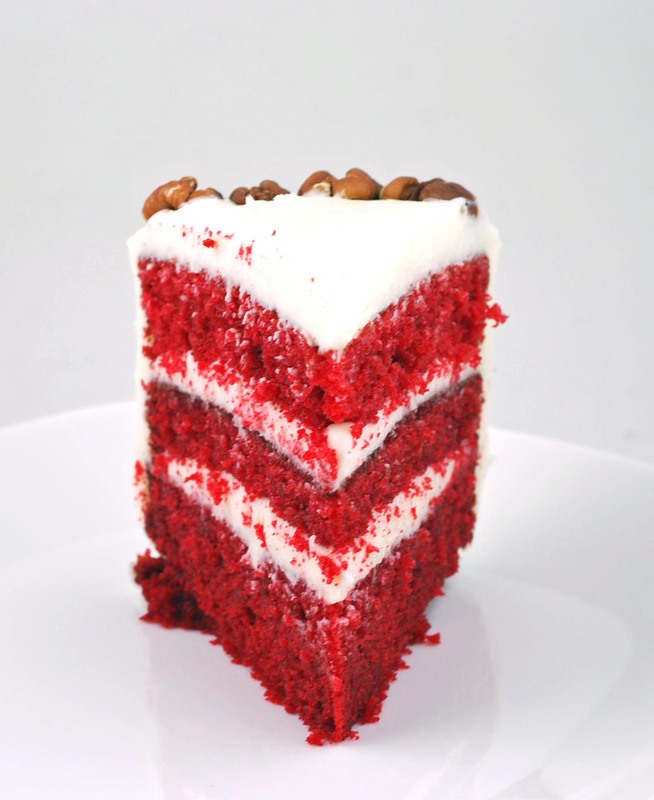 The bright red color was stunning and elegant against the white creamy cream cheese frosting. The cake itself was moist, not overly sweet, along with a bit of tang. It was delicious! I had originally made only one batch of cream frosting from Smitten Kitchen’s version; and as soon I made it, I realized that I would not have had enough to fill three-layers cake, let alone frost the side and the top. Therefore, I went ahead and made another batch. The recipe version I had written below was doubled to reflect the actual amount that I used although I had about 1/4 cup of leftover. I had originally wanted to make caramelized pecans for decorations but ran out of time; so I just arranged some whole pecans on top. Sarah was elated; and so was I. So I must say that we found ourselves a winner here. Many thanks to Bridget for test driving all of the recipes for us! Divide batter evenly between 3 greased and floured 8×2″ round cake pans. Or, I used (1) 8×2″ and (1) 8×3″ which I split into two layers. Chill for 2 hours to set frosting.